A sporty friend tells you they’re going on a surfing holiday. California, you assume. Nope. Hawaii, you guess. Wrong again. Ireland? Really? You bet! Surf’s up on the Emerald Isle. Get your wetsuit on. Conditions are perfect! For amateurs and professionals alike, our little green outpost on the western frontier of Europe is catching on as a surfing destination in a big way. The west of the country in particular serves up some spectacular waves throughout the year. Our generally mild, moderate climate means that Ireland is a great place for beginners. At the same time, if the tide is high, and the wind is howling, some breath taking waves can be served-up on our beaches. Sligo is widely regarded as the surfing capital of Ireland, and is known internationally as a ‘gnarly’ surf destination. Like all surfing spots on Ireland’s West coast, it combines a number of elements such as the gulf-stream (keeping the water relatively warm), powerful swells from the Atlantic Ocean and fantastic access via its beautiful beaches. There’s a fantastic surf-school at Strandhill which offers fantastic surfing demonstrations and instruction for all levels of surfers, from beginner to expert. If you want to see the serious pros at work, you should check out Mullaghmore Head and Easky, both known for their gigantic waves. Check out this footage taken at Mullaghmore and see for yourself. The Donegal surfing scene is also very strong, and this I know from experience. The one and only time I experienced surfing was when I took a surfing lesson in Bundoran, the most popular surfing destination in the county. I really enjoyed it, even though, truth be told, I never fully mastered the standing up on the board side of things. Apparently that’s kind of important. I still had a great time and would love to try it again. Kerry is one of the most picturesque, stunningly-beautiful counties in Ireland, with tonnes to see and do throughout the year. But did you know about the Kerry surf? Ballybunion has a wonderful surf-school at South Beach, run from the beach café, where you can enjoy great snacks and a hot drink after you dry off. It’s a great place to increase your knowledge and technique, and is known for its ‘safety first’ policy. 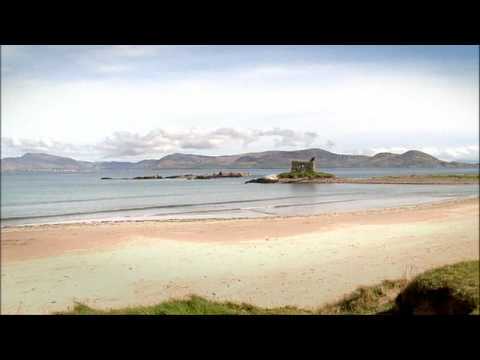 Kerry is a spectacular county too, surfing aside. The Ring of Kerry, Dingle and Killarney are all convenient and well-connected to surfing hot-spots. Lahinch is the most popular surfing location in County Clare. Whether spectating or participating, you really should check out the Clare surf scene. Ben’s Surf Clinic is a fantastic resource for anyone wishing to get on ‘board’ for the first time. Excuse the pun. The spectacular Cliffs of Moher are a 20 minute drive away. We're very proud of our blossoming surfing tradition and would love to share it with you. Contact us today to discuss your dream Irish vacation. Come over and ride our Wild Atlantic Waves!